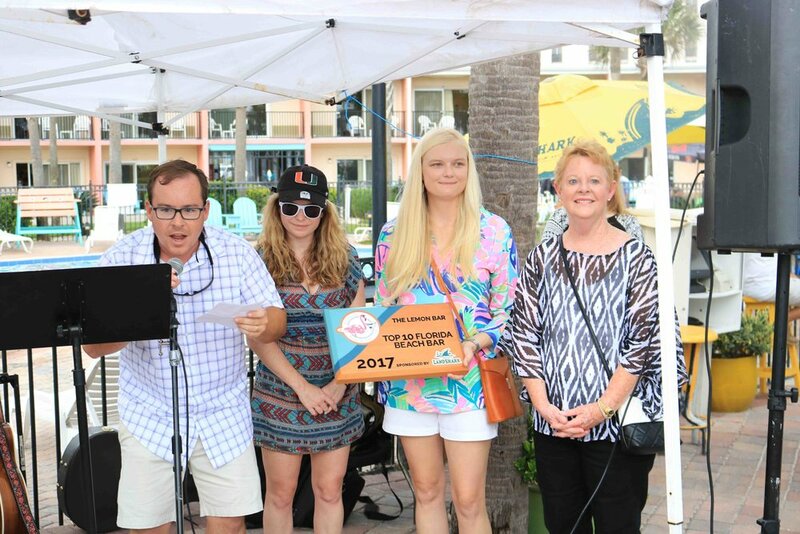 We were so excited to celebrate The Lemon Bar's first win in the Top 10 Florida Beach Bar contest sponsored by LandShark Lager! They have come so close in prior years and in 2017, they finally broke into the Top 10 in a big way, finishing at number 6! You would have never guessed that this was their first win as they threw an amazing party that went until 1:30 in the morning. 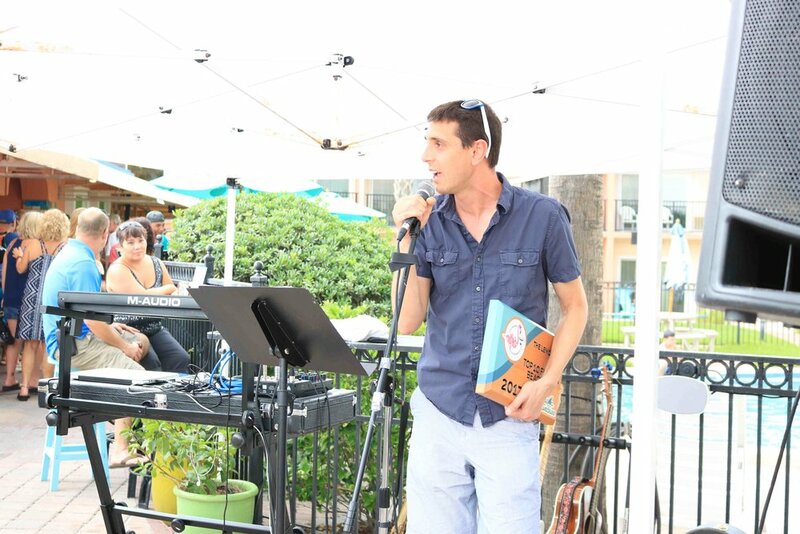 Colin and Drew from Sidereal kicked the party off and played for most of the celebration. 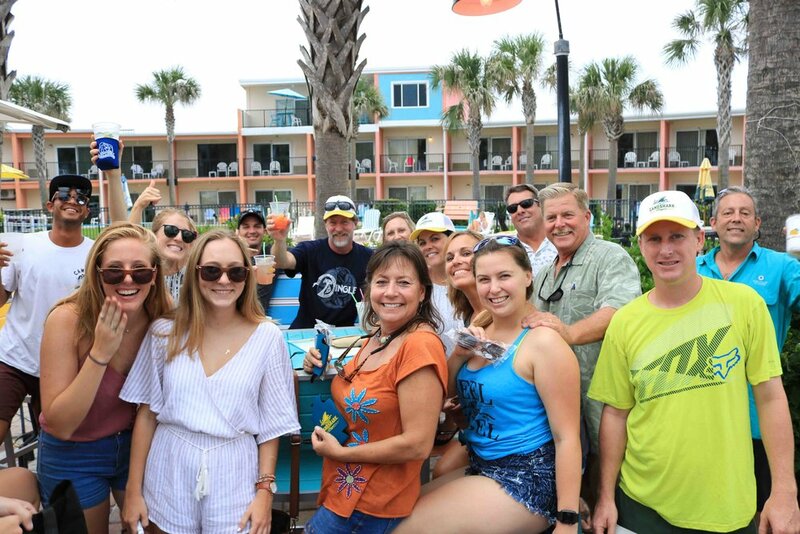 They are a Beach Rock band from Jacksonville, FL and recently released a new album that is available on SoundCloud, Spotify, Pandora, and more! Check out their Facebook page for upcoming events! 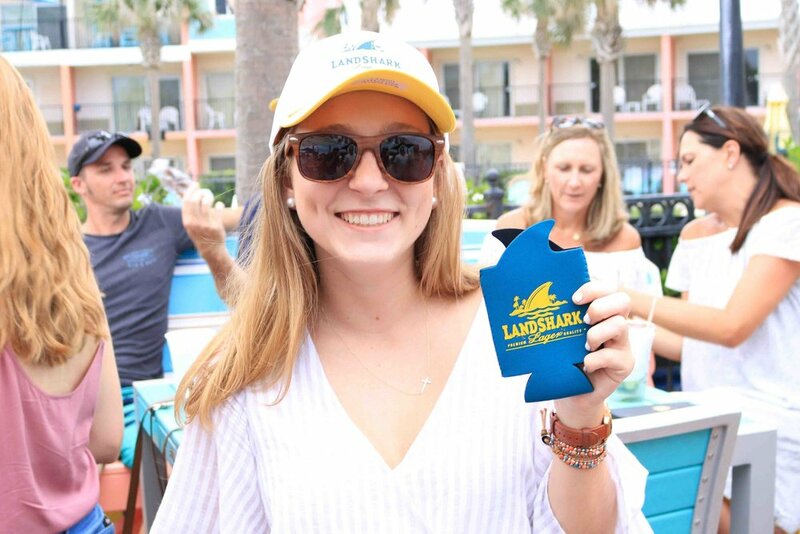 We had the help of two special locals that assisted with LandShark giveaways including, can koozies, hats, bottle openers, and lei's. 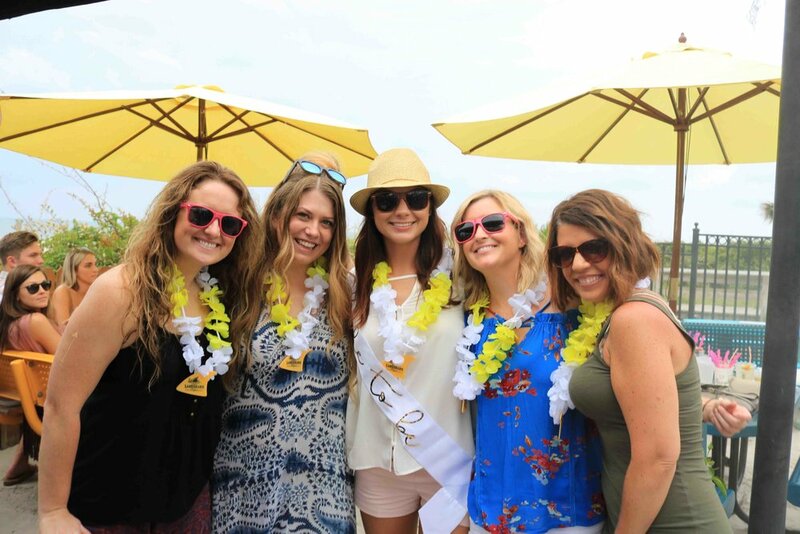 Some of the guests were celebrating birthdays and a few girls were having bachelorette parties. This was THE place to be on Saturday! 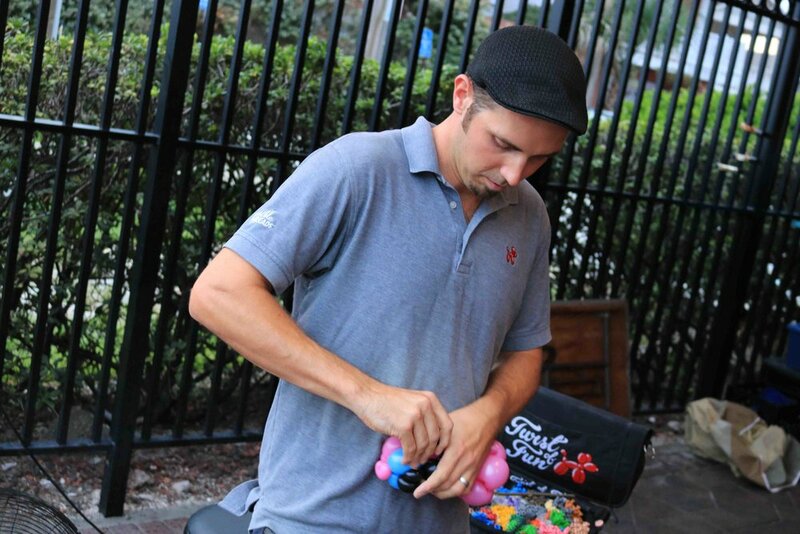 Justin from Twist of Fun Balloon Art was there making the most impressive balloon animals we've ever seen. Soon after he arrived, there was a line that formed that never ended. 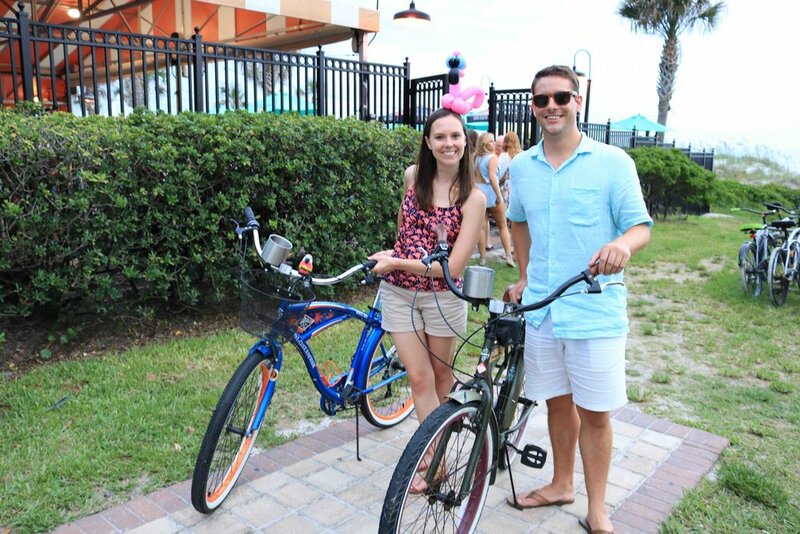 Of course, we had to ask for a 'pink flamingo' hat to celebrate the Florida Beach Bar award party! At the end of the night, they had a Silent Disco from Silent Sound Entertainment. 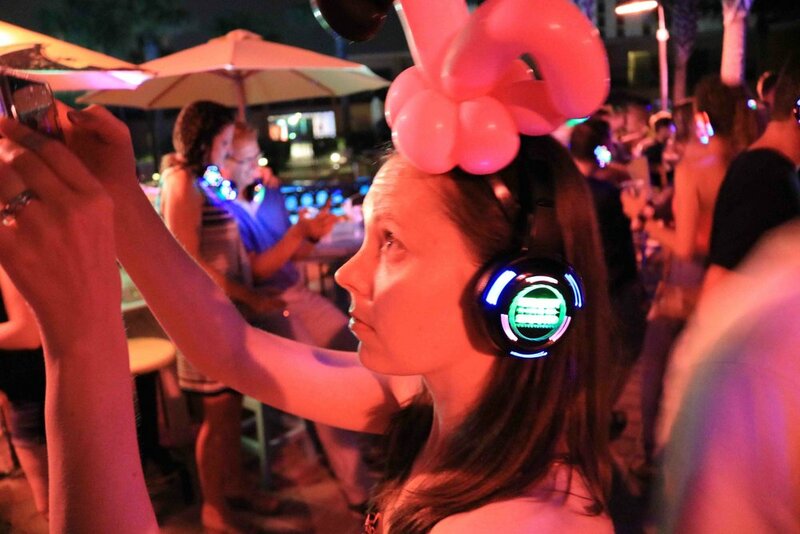 If you are unfamiliar with what a Silent Disco is, it is a sight to see. Headphones are handed out to everyone and a DJ is playing music that everyone can hear. It's a great way to keep the party going without waking the neighborhood. It's hilarious when you take your headphones off and just see everyone dancing to silence. The headphones were surprisingly comfortable and after a while, you almost forget you're wearing them. 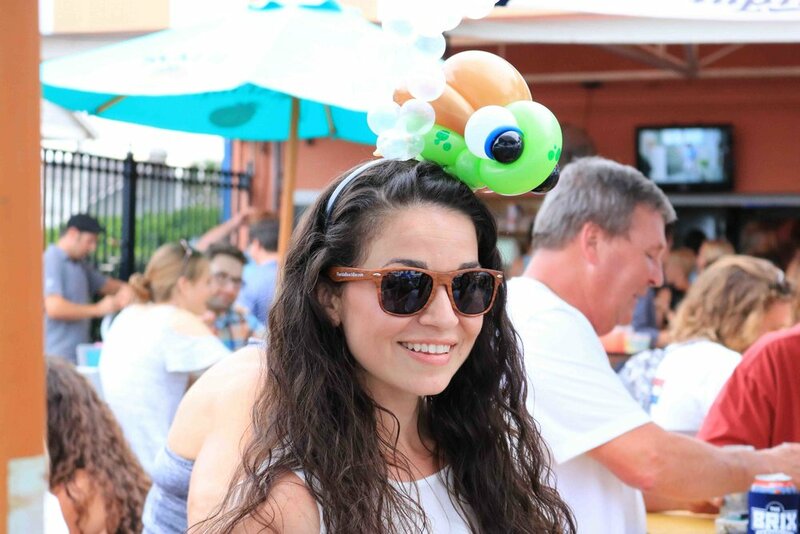 What a fun way to celebrate their Top Florida Beach Bar award! 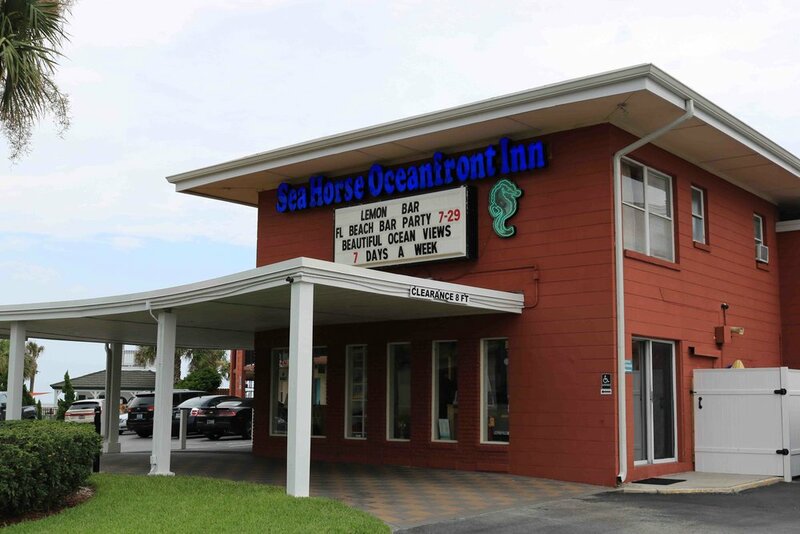 The Sea Horse Oceanfront Inn is right next door so if you don't feel like leaving, there's plenty of rooms (recently updated!) for you to stay the night. If the weather is nice, there's a large pool outside for you to cool off in. 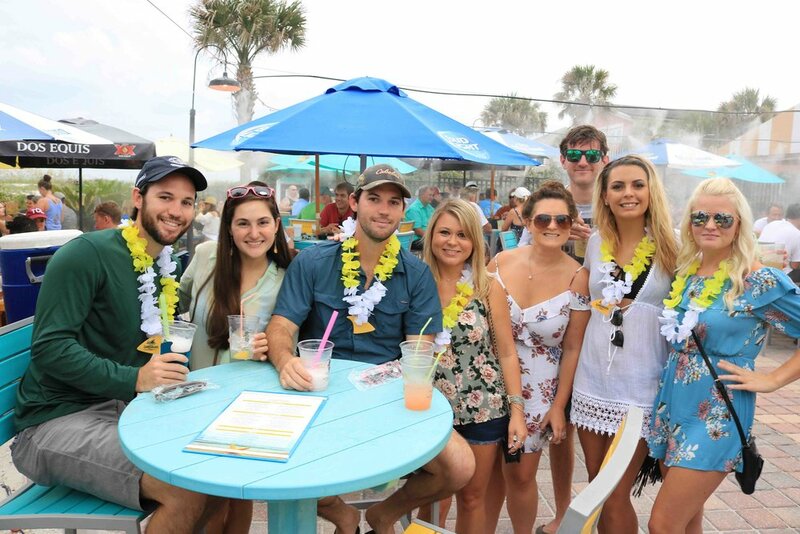 The Lemon Bar is one of the only places in Neptune Beach where you can party with your feet in the sand and enjoy an ocean view. 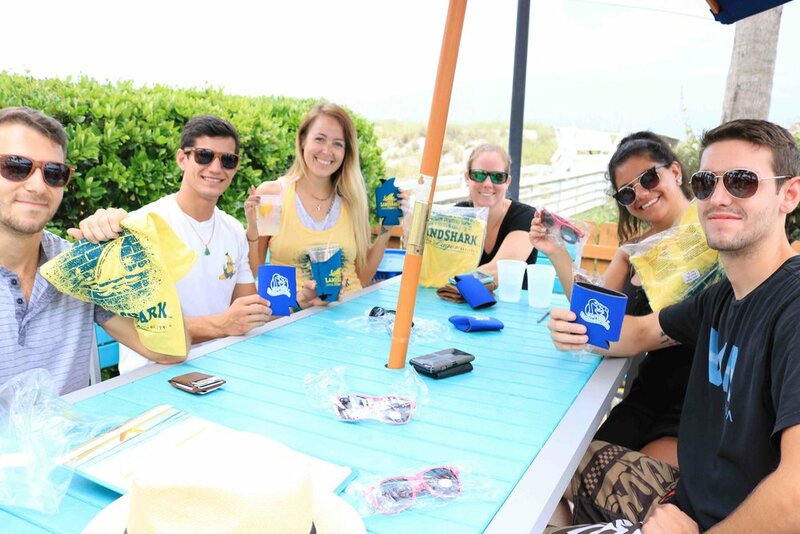 The staff was so friendly and they made sure they put together a party to remember. 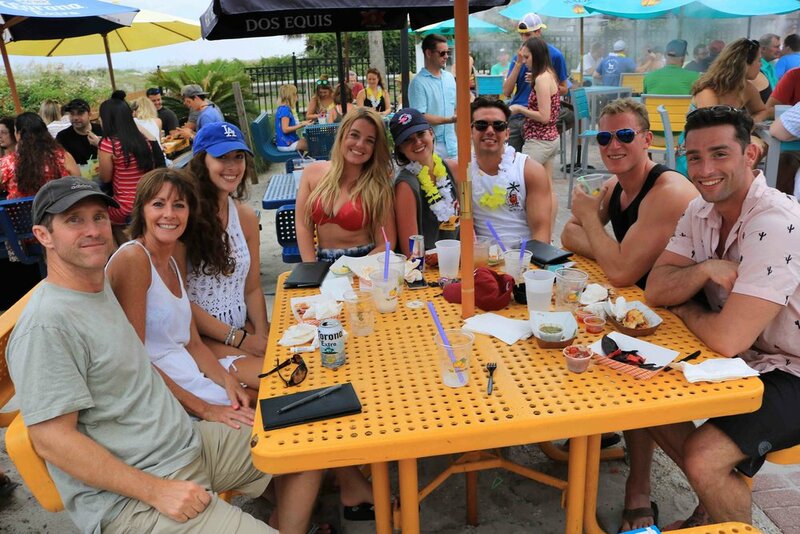 No wonder they were voted a Top 10 Florida Beach Bar! Congratulations to everyone at the Lemon Bar for this well deserved award!